It was a horrifying discovery when Jerome Murdough was found dead in his Rikers Island jail cell after malfunctioning equipment caused temperatures to skyrocket to nearly 100 degrees in February. 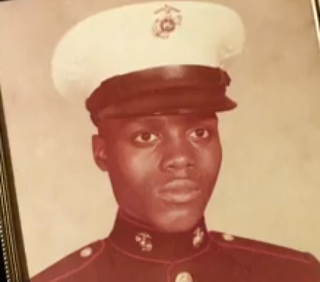 Now, officials say the death of the 56-year-old former Marine may be emblematic of a growing problem in jails across the nation as the inmate population ages, the Associated Press reports. The problem, advocates say, is that prisoners who are exposed to high temperatures are unable to cool themselves—by taking a cold shower or by sitting in an air-conditioned room—like people living outside prison regularly do, the report says. “This is not an issue of comfort and luxury,” David Fathi, director of the American Civil Liberties Union's National Prison Project, who has litigated cases in Wisconsin and Arizona to provide appropriate cooling for inmates, told the AP. A preliminary city Department of Correction investigation found the medical examiner investigator believed Murdough died of hyperthermia, saying that “the heat in his cell caused his body to shut down,” according to court documents, the AP reports. One official who spoke on condition of anonymity described Murdough as having “basically baked to death,” the report says.